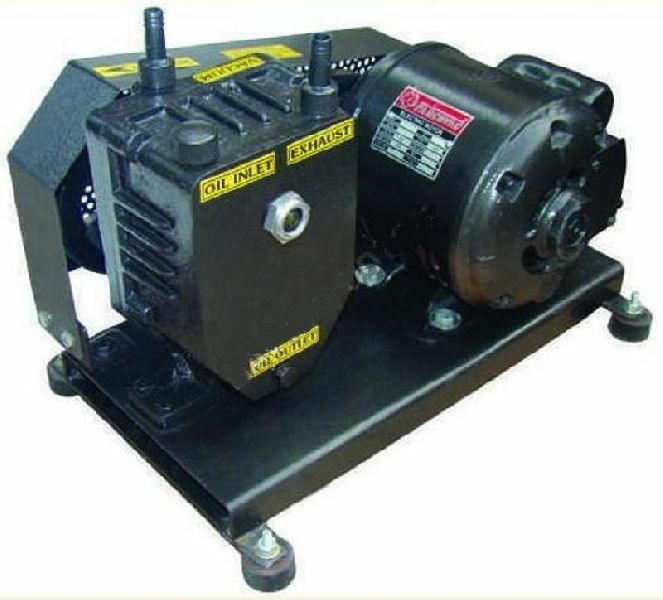 Vacuum Pump Motor driven, oil sealed pump mounted on heavy base. It is driven by V belt at speed up to 400 RPM. Choice of single and double stage available creating Ultimate vacuum of 0.01 mm of Hg column and 0.0 mm of Hg column respectively. The pump is to work on 220V AC 50 Hz single phase Capacity Motor.